The “Countdown to Castaic High School” event brought future students, Hart District officials, community members, and elected officials to the site of the future Castaic High School to introduce the newest public high school in the Santa Clarita Valley to the community. Attendees had the opportunity to see the progress of the school firsthand, while also casting votes for the school’s mascot and colors, as well as signing a banner that will be unfurled on the first day of classes next year. 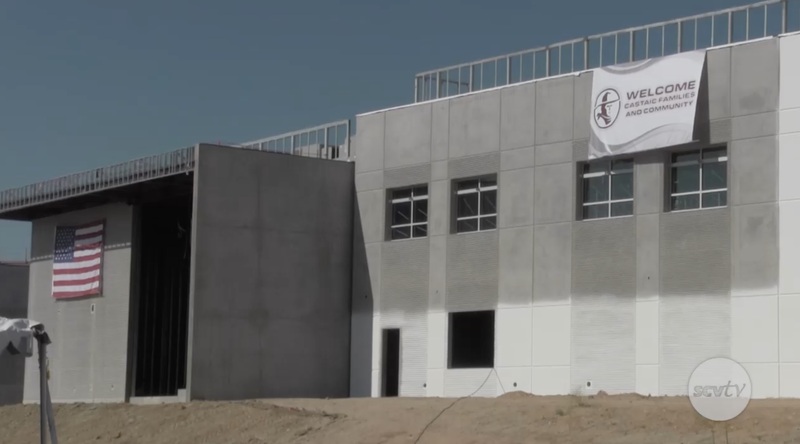 The much anticipated 25,000 square foot, state-of-the-art high school will be welcoming the first class of students in Fall 2019. I was thinking the same thing!😱 the only thing missing are the bars on the Windows! OMG another prison in Castaic?